Gluten Free Vermont goes to Los Angeles! Love Your Food Everyday (Culver City and other locations) : Order at the counter and sit down for a lovely dining experience! 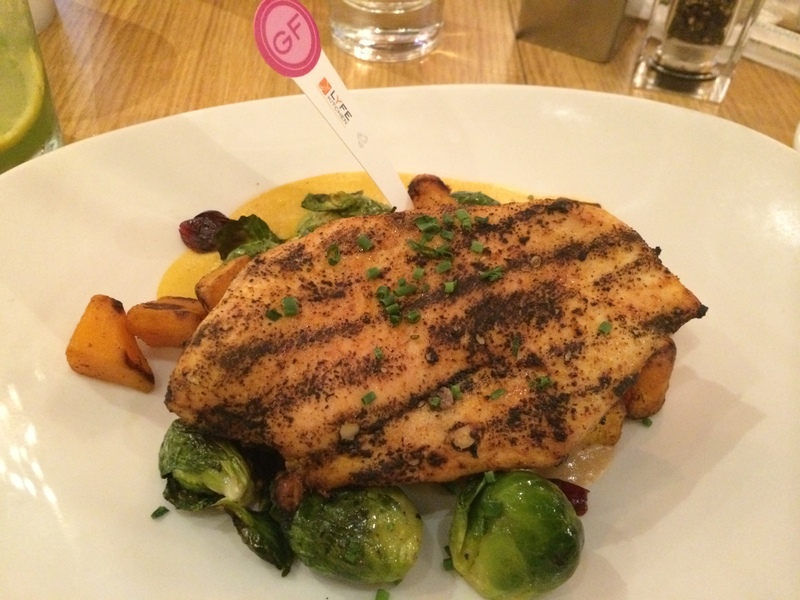 The counter staff know every ingredient in every item on the menu. Great for gluten, nut, rice, egg, and “you name it!” allergies. Also a great choice for vegan and children. Seriously, a menu that can accommodate everyone and that focuses on healthy food and cooking. When’s the last time you had air-baked, gluten-free, sweet potato fries?! Factors Deli (Beverly Hills) : I stuck with huevos rancheros, but they also offer gluten-free waffles, pancakes and more! Great service and I felt very safe in their hands. California Pizza Kitchen (Beverly Hills): I stuck with the grilled peach spinach salad with grilled chicken… but CPK has upped the ante with their gluten free offerings. They received a lot of criticism for contamination issues when they first issued gluten-free pizza options. Now they have teamed up with the Gluten Intolerance Group to guarantee better efforts at avoiding cross-contamination. I was game to try it out but the crust has rice flour (I’m allergic) so I skipped it. Anyone out there tried their pizza recently? Besides all these, I had a great time visiting my friends and family… They stocked the house with lots of fruit, yogurt and chips/salsa for me to snack on. I travel with GF instant oatmeal, so with all of this, I was pretty much ready to go. At the wedding they labeled all the food gluten-free, vegan, vegetarian or such and there were tons of great options! [all of it was nut-free!] So wonderful of them to make the wedding safe for their friends with food allergies. 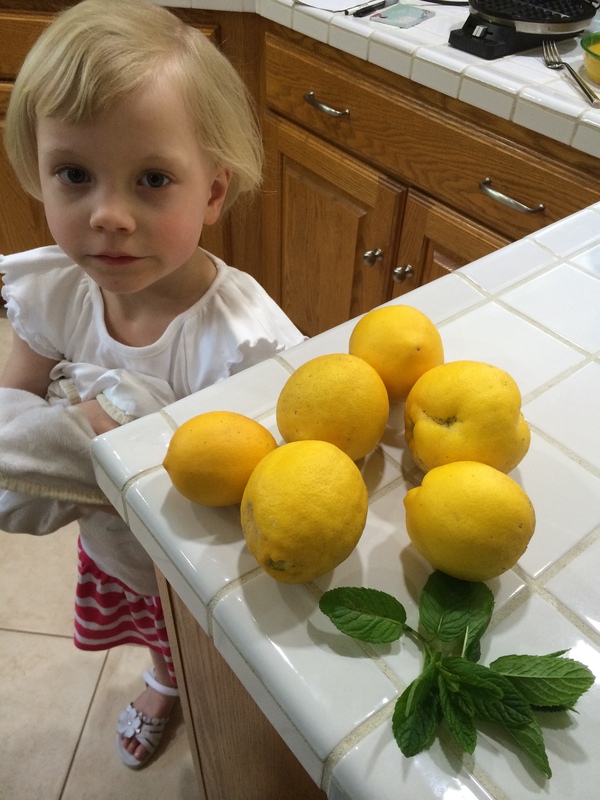 Plus, fresh lemons for lemonade and cooking! This entry was posted in Holidays, Labeling, Travel and tagged california pizza kitchen, factors, lyfe on April 15, 2014 by gfvermont. Navigating a new city and country is always tough when you’re Gluten-free. It’s outside your comfort zone, big time. Last week, I spent a few days exploring Montreal with my family. Saturday night we realized that Cavalia was showing Odyesso in near-by Laval. We decided to catch the show and grab dinner beforehand. So, how do you find a place that will handle your gluten-free needs? I’ve increasingly had good luck with UrbanSpoon.com. 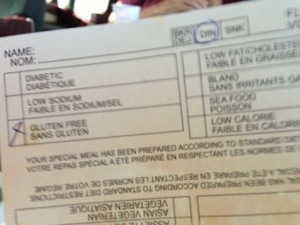 A quick search of Montreal shows 243 gluten-free friendly restaurants. You can also view the results on a map to find places near you. I’ve found that restaurants rated with “$” are better for breakfast or lunch. Restaurants with “$$” or higher tend to have table service and a wider range of menu items. I also judge a restaurant based on user reviews. A place with 70% or higher seems like a decent place. Next, I also consider what types of food they offer and check out their menu online. From this, you can get a sense of what types of gluten-free foods you might be able to order. For me, I avoid seafood restaurants because I’m allergic to fish! Once you’ve picked a place, you might want to note a back-up place or two in case you get a bad vibe at the first one or its closed or such. Another way to feel safer about eating gluten-free in a “foreign” place (even some US towns feel foreign to me!) is to take a card that explains your needs. My personal favorite has been CeliacTravel.com, which offers explanations regarding Celiac Disease to chefs and waiters in 54 languages! I kept a few of these in my purse when I was in Croatia and never had a problem! In hindsight, I wished I brought one with me to Montreal in French. I didn’t have any problems in Montreal but had a few uncertain interactions with wait staff. This entry was posted in Travel, Uncategorized and tagged Montreal on June 21, 2013 by gfvermont.